This is Holly. 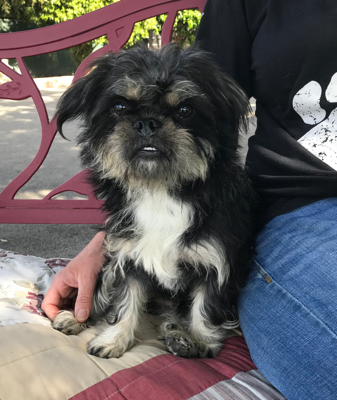 She is a sweet, little, 1 year old Shih Tzu - Pug mix. She is very quiet and gentle, good with other small dogs and friendly with people. Holly is a mellow girl and is looking for a loving home.